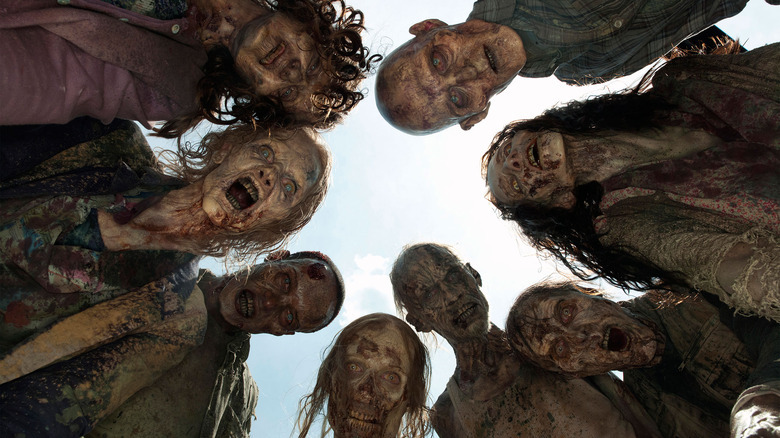 Big changes are in store for fans of The Walking Dead. Once season 9 begins, it's a safe bet that the show audiences have flocked to over the past eight years will have a new look and feel. The series will lose stars Andrew Lincoln and Lauren Cohan, and a new showrunner has stepped in to take the story to new, and hopefully exciting, places. Do these alterations bode well for the AMC series? That's yet to be determined. However, the program — which was adapted from Robert Kirkman's comic series of the same name — has experienced a steady slide in the ratings over the past few years. Simply put, it's time for an overhaul. After the overwhelming feeling of finality the season 8 finale delivered, a jump in time, a new story, and a bunch of new characters may end up being the answer to what ails the series. How will things work without Rick Grimes and Maggie Rhee fighting the good fight? No one knows yet, but a slew of theories, leaked details, and rumors have hit the internet to hint at where The Walking Dead will go in its next 16-episode run. Let's unpack the details. New showrunner Angela Kang sat down with Entertainment Weekly to dole out a few teases regarding what fans can expect — and while we've already deduced there'll be a time jump and even an eventual location change, all eyes are on the show's big three leads as fans prepare to say goodbye to Maggie and Rick, while hesitantly looking to Daryl (Norman Reedus) for what comes next. 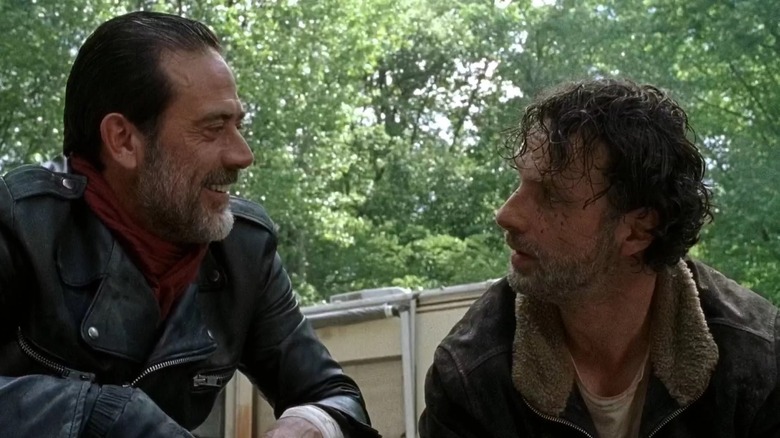 One big thing on everyone's minds is the story twist delivered at the end of season 8, when Maggie, Daryl and Jesus (Tom Payne) forged a secret alliance against Rick to deal with Negan (Jeffrey Dean Morgan) on their own terms. How will this affect our core group of heroes? According to ComicBook, the bond between Rick and Daryl will be strained as "the schism between the two will deepen over Rick's controversial decision to spare the life of the imprisoned Negan." Does this mean the two will become enemies before Rick's final bow? 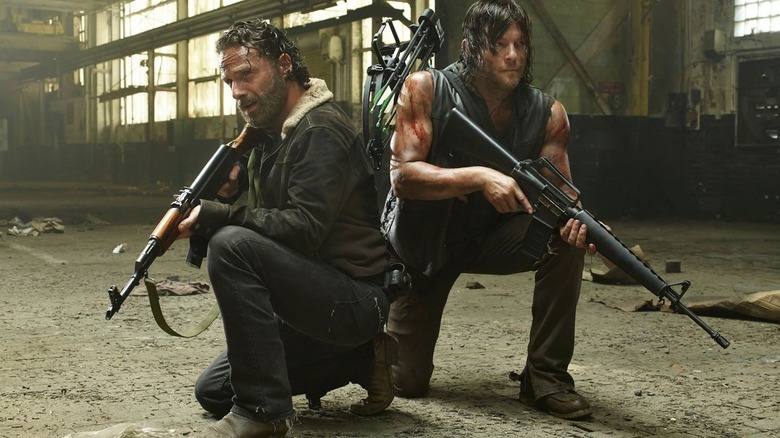 At this year's San Diego Comic-Con, Reedus explained to Variety that Rick and Daryl are just "two brothers fighting." But as Kang previously told EW, "There will definitely be story about Maggie and Daryl and Rick and where they are at with each other. I don't want to spoil too much about that storyline, but there will be some surprises along the way with it. It's definitely something that we will be exploring this season." 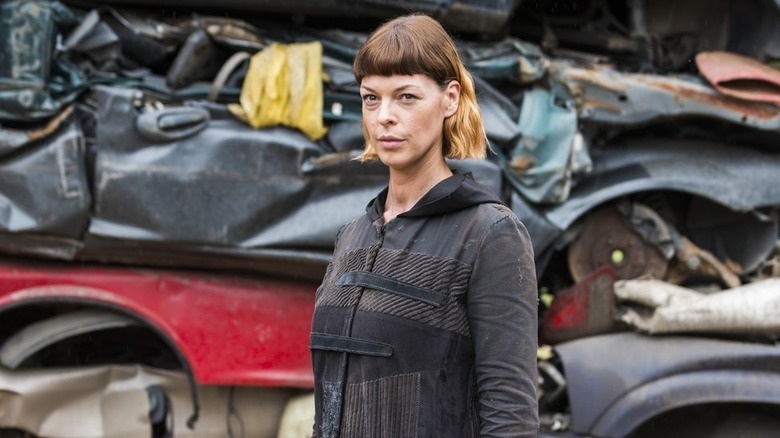 At the end of season 8, Jadis (Pollyanna McIntosh) left the trash heaps to join Rick, Maggie, and the rest of the heroes. She shed her uniform and introduced herself as Anne, giving audiences a glimpse at the real person behind the Scavenger bravado. Her move will surely open the door for more insight into her character. "I think we're going to see Anne in a way that people will be very surprised by seeing a different aspect of her character," Angela Kang said at AMC's fandom summit. Jadis/Anne may prove to be the key to a bigger mystery: that helicopter. When Rick originally saw it overhead near the beginning of season 8, many thought it was a hallucination. (He probably thought so too.) But as the tale continued to unravel, audiences saw Jadis/Anne had a connection to the copter. The timing of the helicopter's appearance, and Georgie's (Jayne Atkinson) confrontation with Maggie, alludes to the possible introduction of the Commonwealth storyline from the comics. As The Wrap explains, "They're a group that have established an actual city with over 50,000 people in it in Ohio, and they have electricity and team sports and all those sorts of modern conveniences." If the Commonwealth is indeed coming, that'd mean the series would be dipping into the comics' current storyline. However, it seems the Whisperers are also on their way. And if that's the case, season 9 of The Walking Dead may be blending multiple comic storylines and timelines together. If another time jump is in the cards, one way to make this work is to use Rick's death as a catalyst for that change. According to UPROXX, rumors are circulating regarding two narrative shifts in time for season 9: "one of a couple years and another longer one, of four or five years." Not only would this be an intriguing move to set up the introductions of the Commonwealth and the Whisperers, it'd help further the decayed tone Angela Kang previously teased to EW. "We'll explore what happened as man-made objects and structures break down," she hinted. "Infrastructure like roads and bridges are changing and crumbling. And we'll also explore what happens as resources are getting low." 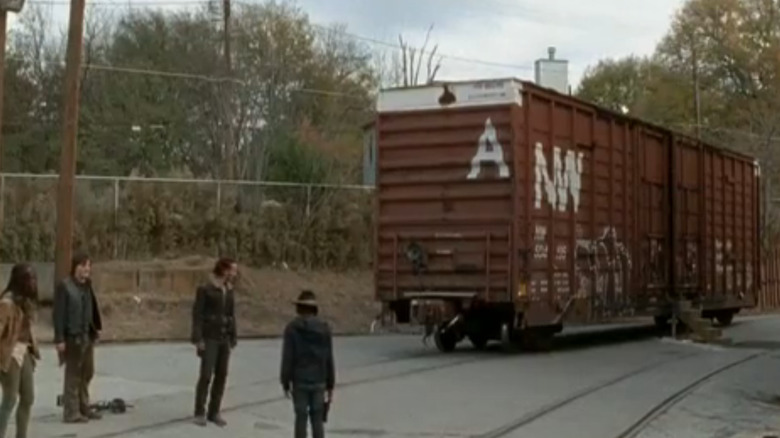 Youtube user ABowlFullofAwesome posted a video from the set, teasing the rebuilding of Alexandria. With the community thriving, Kang told EW that Rick will be in a "good and peaceful" place at the beginning of season 9. But as we all know, peace never lasts long on The Walking Dead. What's to say that after Rick's six-episode story arc — which may end in his death at the hands of Maggie, Daryl, the Whisperers, or another threat altogether — the community won't unravel, leading to that second time jump where we find our heroes living in a crumbling society, relying on horses and oil lamps to survive? That would make sense and help reboot the series in a compelling way, and it'd officially close the book on Rick's story for good. With the death of Simon (Steven Ogg) and the departure of Morgan (Lennie James), plenty of room for new characters has presented itself in season 9 of The Walking Dead. The Hollywood Reporter has confirmed that former supporting players Avi Nash, who plays Siddiq, and Callan McAuliffe, who plays former Savior Alden, have both been bumped up to series regulars. Keeping Siddiq and Alden around will surely provide new energy to the series. But there's something about Alden that has raised eyebrows among many diehard fans of the comics. Will McAuliffe's cast upgrade point to a possible romance between Al and Maggie? According to Nerdist, all signs point to yes. In fact, the outlet has made the observation that Alden may actually be the TV version of Dante from Kirkman's comics. Audiences have seen sparks fly between many fan faves during The Walking Dead, but Daryl Dixon has yet to find romance throughout the show's eight seasons. Sure, the internet has spent many hours shipping him with Carol, but even Melissa McBride spoke carefully when explaining their connection to ComicBook, saying, "It is whatever. It is what you see. There's so many projections on their relationship that it is whatever it is to whomever is watching." Along with a hefty bump in pay, Reedus will receive top billing once Andrew Lincoln makes his exit. With that sort of scrutiny, it's hard not to wonder if fans will finally see Daryl make a love connection in season 9. He had a brief bond with Beth, but nothing that really blossomed into anything substantial. Angela Kang did her best to give some insight on what to expect without spoiling the biker's romantic future. "What I will say," the new showrunner told TV Line, "is that we will be telling a great story with Daryl this season. He has some really meaty material coming up, so Daryl fans will get their fill." 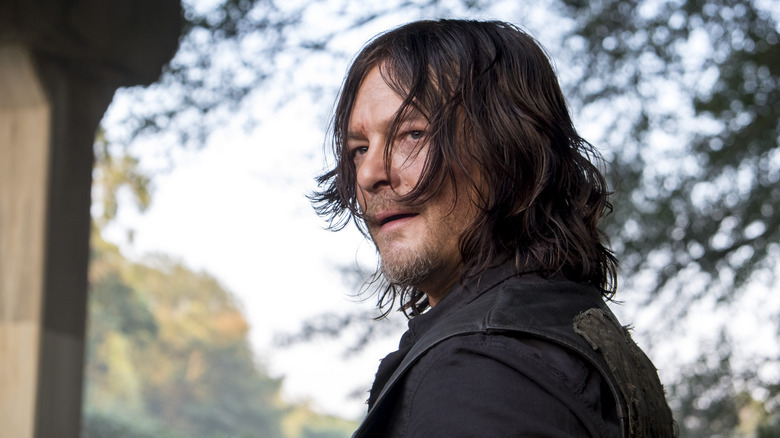 There are many theories, rumors, and requests circling the web regarding Daryl's future. The Hollywood Reporter even posed a compelling story idea for the loner: what if Daryl's gay? The trade suggested a love connection between him and Aaron (Ross Marquand), wondering, "What does the show have to lose?" If one character successfully made the turn from insufferable to empathetic hero, it's Father Gabriel Stokes (Seth Gilliam). The holy man's journey in season 8 found him in a gruesome, unlikely partnership with Negan, as the two immersed themselves in walker guts in order to escape a bloodthirsty horde. Negan warned of the negative health effects zombie innards can have on a person; needless to say, it wasn't long before Father Gabriel came down with a horrible flu, only to find his vision drastically hindered. 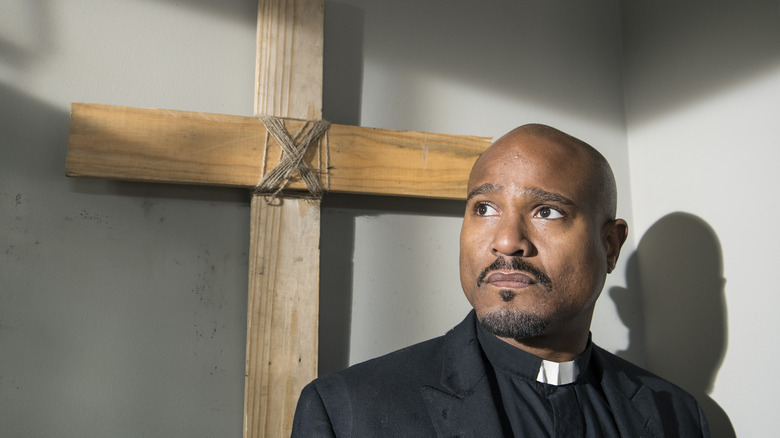 After the trials he endured in season 8, it's looking like Father Gabriel will step confidently into the role of holy man once the new episodes premiere. Since being introduced in season 5, Gabriel has battled personal demons in the form of guilt over leaving a group of churchgoers to die at the hand of a zombie horde, which, in turn, had him regularly questioning his value as a priest. DigitalSpy posted a leaked image of the character, who looks to be completely blind in one eye, while donning a classic-looking Southern preacher outfit. If we're to use Gabriel's faith as a hint to his story progression in the new season, it wouldn't be out of the question to believe that whatever he lacks in physical sight, he may make up for with religious clarity. According to BleedingCool, Gabriel will be the one helping Jadis (aka Anne) transition to her new home in Alexandria. With Rick's death presumably looming, speculation regarding Daryl's leadership role has grown, but as Norman Reedus told TVLine, the rumors of Daryl taking over for Rick are just not true. If that's really the case, there's been a worthy successor under our noses this entire time. Hint: she's got some epic sword-fighting skills. We Got This Covered reminds us that back in season 7, Rick urged Michonne to take over for him as the leader of the group if anything happened to him. It's an idea that's backed up by Kang's own statements regarding the women in season 9. "We're going to see our women really step up," the showrunner told EW. "And we're gonna show a lot of stories about leadership with Maggie, with Michonne, with Carol. And they're gonna go toe to toe with each other and with our men." 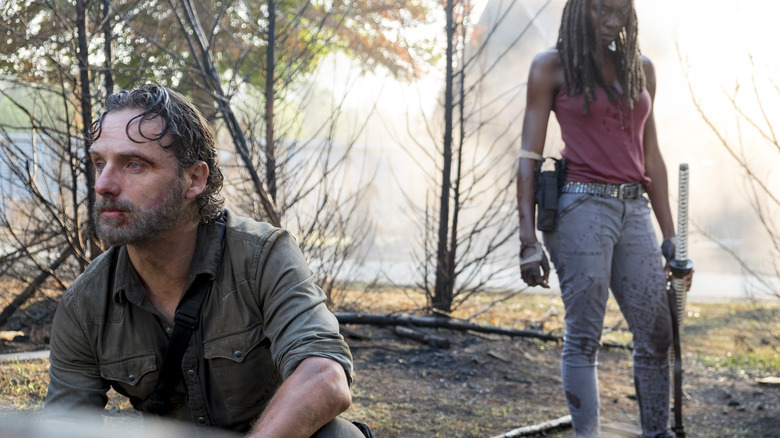 If Rick were to perish at the hands of Maggie or Daryl, and Michonne stepped up to follow through on his wishes, that'd put Daryl in uncharted territory. That isn't to say he would (or should) be the show's next villain, but Daryl has always operated best in the shadows. 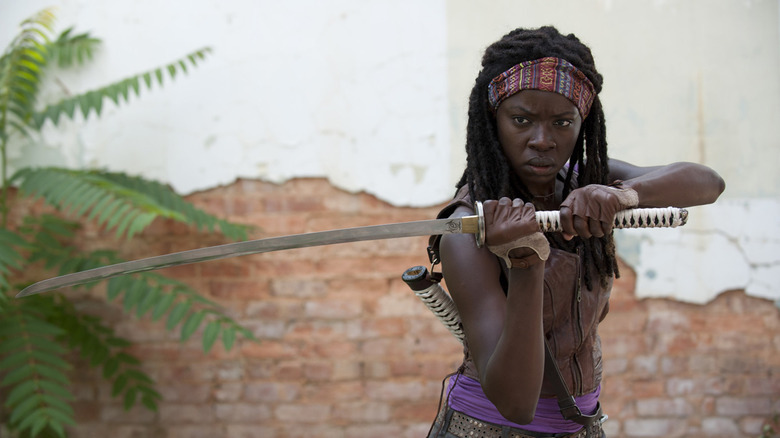 With her battle skills and mental fortitude, Michonne definitely has what it takes to lead. 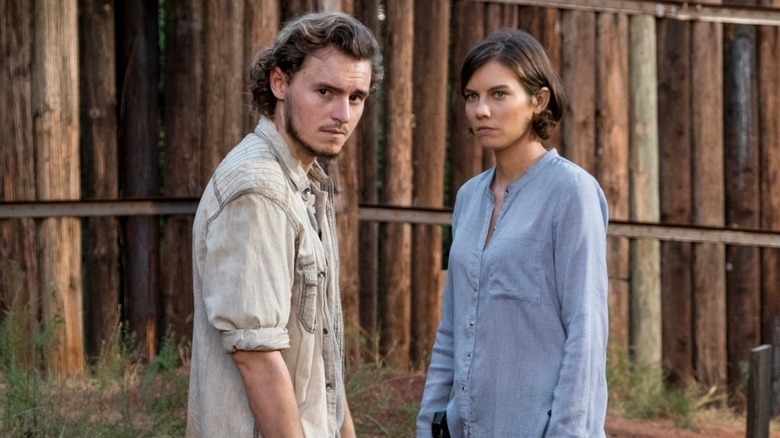 Walking Dead fans are already pretty bummed over the exits of Andrew Lincoln and Lauren Cohan. Now scrutiny has turned to Danai Gurira's uncertain future with the show. Michonne has been a regular standout on the series, but with Gurira's star steadily on the rise — she's appeared in Marvel blockbusters Black Panther and Avengers: Infinity War and, according to Deadline, is being considered for both Godzilla vs. King Kong and Star Trek 4 — it looks as if her Walking Dead future is in question. Angela Kang sat down for an in-depth interview with The Hollywood Reporter and promised "a meaty arc" in season 9 for the sword-wielding hero. Compared to her minimal story last season, that's a breath of fresh air. "Danai and I have been having a great time discussing her character this season," she added. "We're loving writing for Michonne and there's going to be some cool stuff for fans to see that will hopefully be surprising." When pressed on Michonne's future in Alexandria, the new showrunner said Gurira is "definitely a series regular this season." As for what happens after season 9, though, Kang said plainly, "that is out of my realm." Papa's got a brand new … bat? The question of how Rick Grimes will be written out of The Walking Dead's ninth season still looms large, with some suggesting he'll definitely die while Andrew Lincoln himself has teased that his fate might not be a tragic one after all. At least one character poster for the new season seems to indicate that he might just be following his wife and son into the great beyond, whether fans like it or not. The shot features Rick bathed in blood red filtering and donning the sheriff's hat that had been passed down to Carl, and it has been perceived as something of a hint that he's not long for the world of walkers… at least not in human form. One thing we do know is that he'll be using the time he has left to brutalize some more zombies with a shiny new weapon inspired by none other than his arch-nemesis Negan. 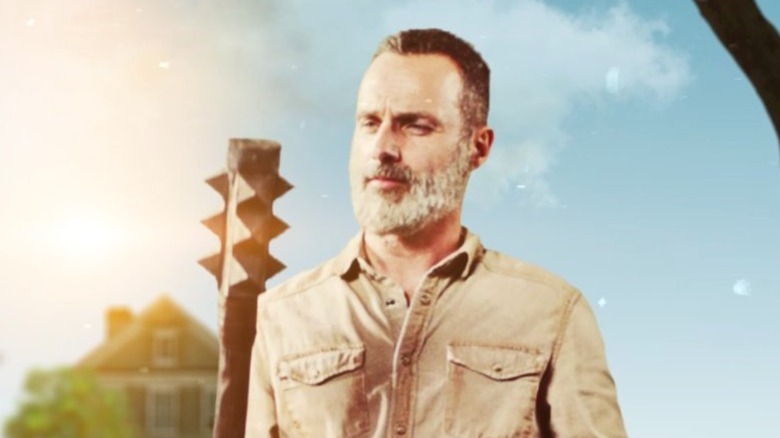 Promotional materials for the new season show a grey-bearded Rick Grimes toying with a bat-shaped stick that's a menacingly medieval redux of Lucille and seems to also pay homage to the spike monster he took down in season 7. From the show's previews, it's clear he knows just how to use it, too, so perhaps the hat is simply an indicator that Rick's back to his old self again, even if just for a while. 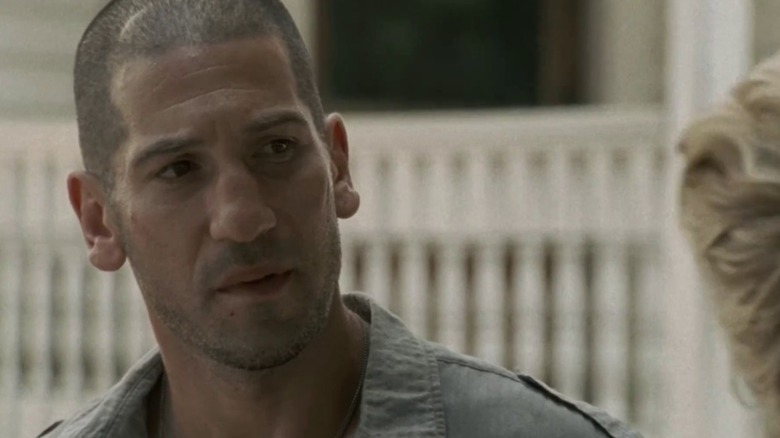 Of all the long-lost characters who could be brought back into The Walking Dead's fold for season 9, the return of Jon Bernthal's Shane was probably the least expected. Considering he's been dead for six whole seasons and went out in spectacularly sour fashion, and the fact that Bernthal has been a very busy man since stepping away from the world of zombies, his continued involvement in the show may have seemed unlikely. However, the actor was spotted near the Atlanta, Georgia area during the season's summer production, setting off a rash of speculation that he might be making a cameo as Lincoln preps for his exit. Indeed, Bernthal's return to the show was confirmed soon after, though the exact details of his role reprisal have been kept close to the vest. 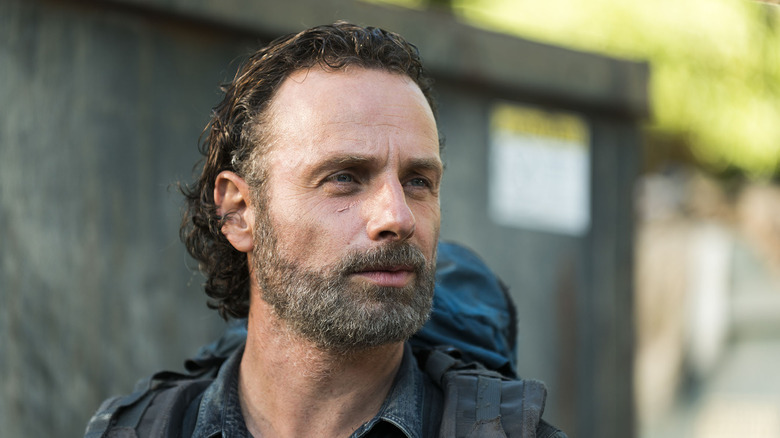 Executive producer Scott M. Gimple has revealed, however, that fans can expect to see "some very cool, very heavy stuff" when Rick Grimes' former deputy returns to duty. To anyone who's spent eight years 'shipping Daryl Dixon and Carol Peletier, this season brings bad news: Carol's going to be locking lips with an entirely different character from here on out. Yes, that's right. 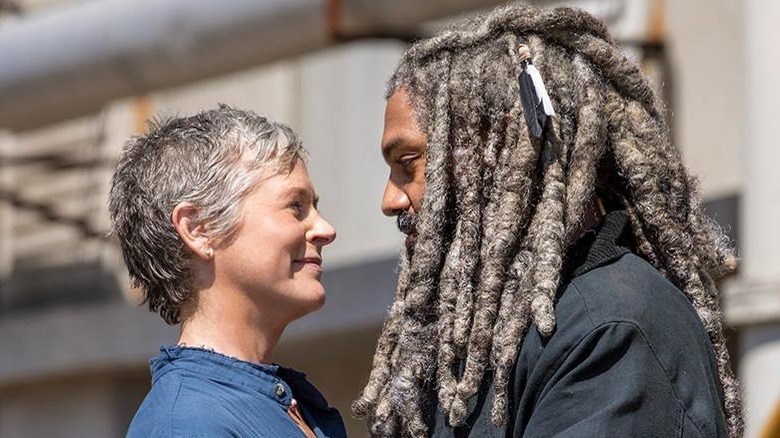 Carol — who seemed to be mostly resistant to the idea of a romantic connection, thanks in no small part to the abuse she endured during her prior marriage — will be going there with King Ezekiel himself, and from the looks of it, their relationship will be very, very sweet. Photos from the new season first confirmed that Carol and the Kingdom's leader were becoming more than just allies, and if that weren't evidence enough that "Carzekiel" was on the rise, a subsequent trailer shows the two sharing a smooch. In other words, Daryl and Carol just aren't happening, so all that speculation about Daryl potentially gaining a new love interest might not be for naught. With Carol pairing off with Ezekiel, Daryl's date book is suddenly wide open, folks. Rick's decision to let Negan live after the All Out War with the Saviors will come back to bite him, so to speak, in more ways than one. Not only has he earned the ire of his friends with this moment of undeserved mercy, but now he's going to have to actually deal with Negan, who isn't exactly known for his humility and/or cooperativeness. Indeed, incoming showrunner Angela Kang has revealed that their relationship going forward will be fraught with some passive-aggressive friction, but also, they'll have a lot more in common than one might expect. "I think in a lot of ways Rick goes down there [to Negan's cell] and it's part therapy and part gloating. [...] They both feel in some ways like dinosaurs after the war. As Rick is trying to figure out what's the next step, what's the next mission, Negan kind of needles him," Kang explained. "But Rick needs to be able to justify, 'This is why I kept you alive, it's so that we can have a future.'" Rick has already been known to have trouble making solid leadership decisions in the past, so one has to imagine that having the nefarious Negan in his ear probably won't be too helpful. A happy ending for her? Poor Maggie Greene. Throughout the show, she's had to watch most of her family get killed, one by one, in excruciating fashion. Between the hack job on papa Herschel's neck and the brutal battery of Glenn's head, Maggie has had to witness an unfair share of bloodshed of the ones she loves the most. However, things might just be looking up for Maggie in the new season. The previews for season 9 show that Baby Rhee will finally join the world after so many seasons of her character's pregnancy, and the little one looks healthy and content in his mom's arms. 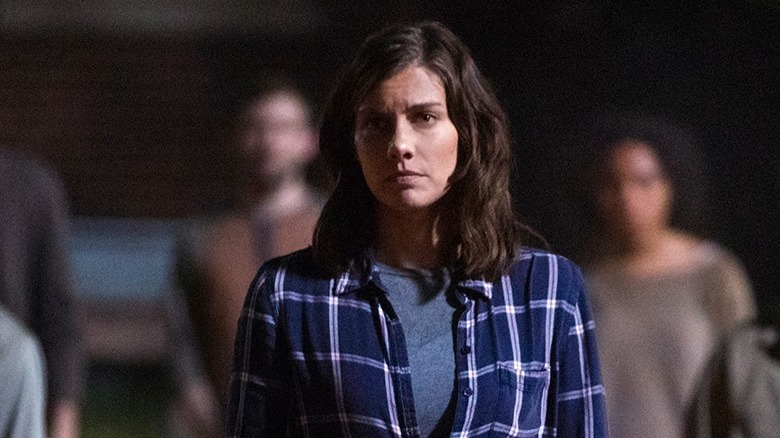 With Lauren Cohan's impending exit from the series ahead in the new season, though, fans might be tempted to fear for Maggie's well-being because, well, no one is safe on this show, especially when an actor plans his or her exit. However, Cohan has put any speculation about Maggie's impending demise to rest by promising fans that her character's "story is open, it's not finished." In other words, Maggie might someday make a comeback, so don't count her out just yet. With two major characters on the way out and a lot of time-hopping ahead, it's probably no surprise that season 9 will introduce a bevy of new characters, many of whom have been plucked from the pages of Robert Kirkman's comics. 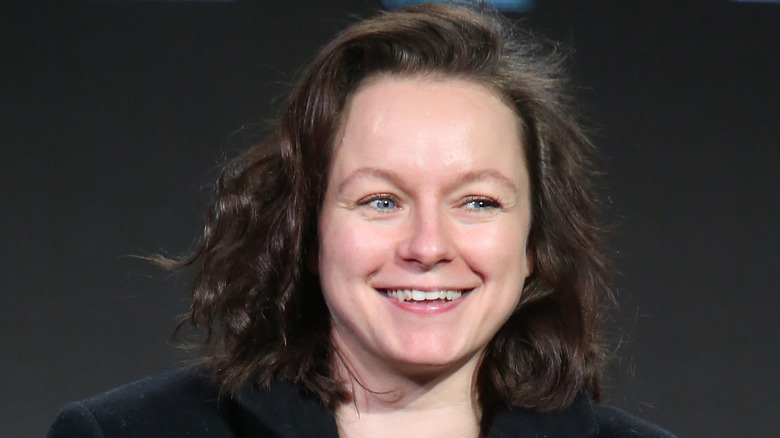 For starters, there's Samantha Morton as Alpha, the leader of the Whisperers, who'll be joined by Ryan Hurst as Beta, her lieutenant, and Cassady McClincy as Lydia, her daughter. The show will also introduce Brett Butler and John Finn as Tammy and Earl, a pair of Hilltop residents who aren't married in the comics, but will be on the show. Meanwhile, Eleanor Matsuura and Nadia Hilker will star as Yumiko and Magna, a couple who in the comics head up a small group rescued by Jesus and invited to join the Alexandrians. Other names joining the fold are Lauren Ridloff as a survivor named Connie and Dan Fogler as Luke, a character who isn't expected to last long on the show. A mystery resolved at last? The addition of Alpha in particular promises to finally answer a long-lingering question about the prevalence of the letter "A" that's been seen scattered throughout the prior seasons. Not since Pretty Little Liars has the letter created such an air of mystery on a show, but Angela Kang has promised that the significance of the character will come into view in season 9, telling fans that it might have something to do with Jadis, who was suspected by many of being the Alpha when she first arrived. "Jadis has a new hairdo and clothing, but it looks like she might be up to her old tricks with the walkie and the helicopter. Or is she?" Kang teased at Comic-Con. "And speaking of the helicopter, you might also notice the three rings symbol that's appeared on various items at the Heaps before, and the 'A' we've seen crop up periodically. Yes, there is a meaning to both things." Jadis might've made some alliances before, but does she have another master controlling that helicopter after all? We'll see when The Walking Dead season 9 arrives on October 7.